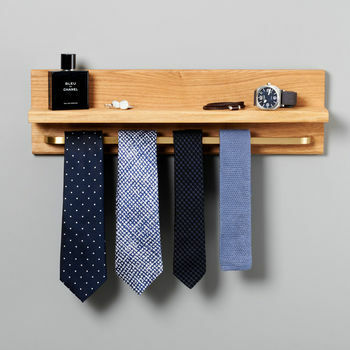 This shelf organiser is a great way for men to store those vital items for an easy and convenient approach daily. 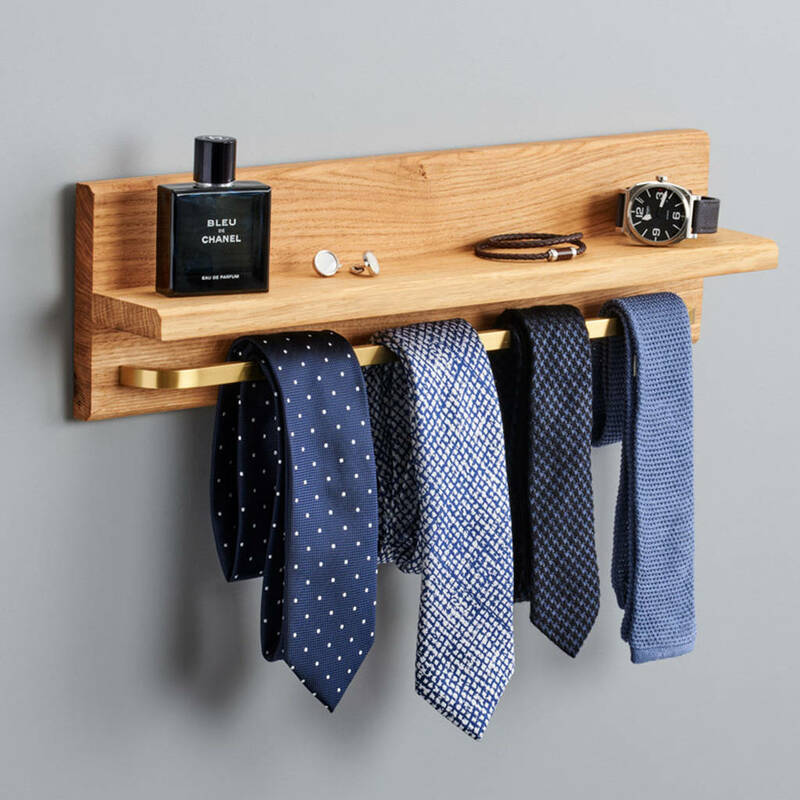 These shelves dont take up much space but will perform an extreme functional role in your bedroom or bathroom spaces by being mounted up the wall. Brass gold rail: Protrusion from wooden shelf: 3.4cm. Width of rail to hang ties/belts: 45.7cm. Bar width: 1.1cm. Bar thickness: 0.7cm. Screw Thread Diameter: 0.4cm. This product is dispatched to you by Pushka Home.